Is it the end of the line for the PS3 and Toshiba Cell TV chip? IBM has announced that it has cancelled its plans to release an update to the Cell processor chip, which was meant to pack two PowerPC processors and 32 Synergistic Processing Elements (SPEs). The Cell processor is the thing that makes the PlayStation 3 the most powerful console on the planet and is the brains behind Toshiba's Cell TV (hence the name), but IBM has let slip that its plans for the chip have now changed somewhat. Speaking to German website Hesse Online, Vice President of Deep Computing at IBM David Turek admitted that there were no plans to update the PowerXCell 8i (Cell) line, even though a 32 SPE Cell model was mooted for development. 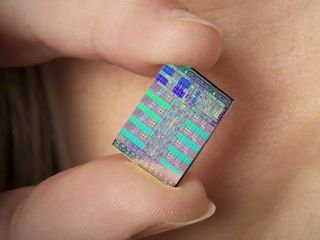 It's not all doom and gloom, though, as Turek does reveal that various features of the Cell chip will be found in other processors in the future, which does mean that we should see the Cell chip continue production - just not on the course that IBM had originally outlined for it. So, what will the new Cell chip house? Well, according to Turek, IBM is looking into hybrid multi-core processing, specifically processors that house graphics and processing on one chip.